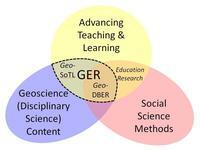 NAGT: Geoscience Education Research - This section of the NAGT's website brings together all of the threads of geoscience education research being done in the organization. The resource includes the GER Toolbox which was collaboratively developed by community members beginning at a workshop at the 2016 Earth Educators' Rendezvous. The Toolbox provides resources and guidance for those interested in conducting Geoscience Education Research, whether they are just starting out or looking for ways to do more. 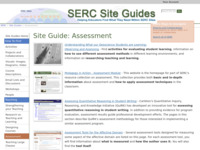 Bringing Research on Learning to the Geosciences - This site brings together resources for faculty, teachers and curriculum developers working in the geosciences. The contents of the site aim specifically to raise faculty awareness of advances in the science of teaching and learning and include essays from researchers, websites, recommended reading lists. 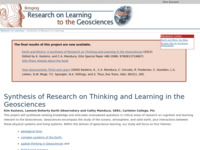 Synthesis of Research on Thinking and Learning in the Geosciences - This project synthesized existing knowledge and articulate unanswered questions in critical areas of research on cognition and learning relevant to the Geosciences. 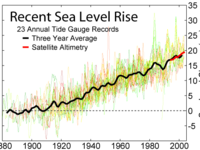 Geosciences encompass the study of the oceans, atmosphere, and solid earth, plus interactions between these physical systems and living systems. Within the domain of geoscience learning, our study will focus on four themes: geologic time, complex Earth systems, spatial thinking in the geosciences, and field-based learning. 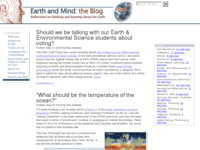 Earth and Mind blog - This blog explores ideas, questions, discoveries and controversies related to how people think and learn about the Earth and environment. The Affective Domain in Teaching - The affective domain includes factors such as student motivation, attitudes, perceptions and values. Teachers can increase their effectiveness by considering the affective domain in planning courses, delivering lectures and activities, and assessing student learning. This series of pages provides background information about the affective domain, a literature review, information about motivating students, self-efficacy, immediacy, and teaching controversial topics, as well as a collection of assessment tools and activities that utilize the affective domain. The Role of Metacognition in Teaching Geoscience - Metacognition is a critically important, yet often overlooked component of learning. 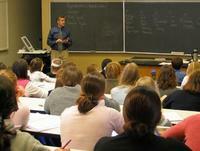 Effective learning involves planning and goal-setting, monitoring one's progress, and adapting as needed. 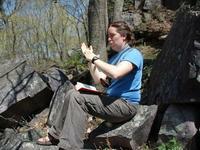 All of these activities are metacognitive in nature. By teaching students these skills - all of which can be learned - we can improve student learning. This series of pages offers information about how to teach metacognition as well as a collection of activities and links that incorporate metacognition into the classroom. Best Practices from Education and Cognitive Science Research - From Cutting Edge Teaching with Visualizations, this page offers resources and information regarding how to use visualizations effectively in the classroom. 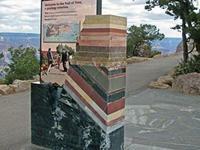 Spatial Thinking Workbook - The Spatial Thinking Workbook project is focused on improving spatial skills in upper-division undergraduate geoscience courses. The goal is to improve students' penetrative thinking skills using an intellectual framework from cognitive science and innovative teaching in the geological sciences, specifically using this online workbook of exercises and by incorporating student gesture into curricular materials. Synthesis of Key Ideas from the 2012 Rates and Time Workshop - From On the Cutting Edge, this web page summarizes the concluding thoughts from participants at the 2012 workshop on Teaching About Time. 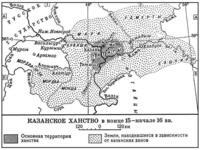 The information presented includes topics such as the importance of understanding geologic rates and time to the general public, that this understanding is cognitively challenging, the literature on this subject is sparse but there are promising strategies, and the importance of measuring student understanding of temporal concepts. Temporal Learning Journal Club Findings - From On the Cutting Edge, this page presents themes and findings from the 2011 virtual journal club on temporal learning. It presents discussions on several topics, including temporal concepts in geoscience and the cognitive processes essential to learning these concepts, strategies and analogies that can be used to teach about time, and teaching temporal concepts in geoscience. 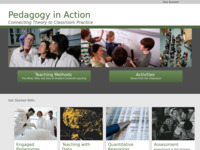 Pedagogy in Action - The Pedagogy in Action module project page is host to a collection of materials that can be used to learn about research on learning. These include collections of pages that feature different teaching methods that can be used in the classroom along with how they can be used and examples, a collection of activities, and a research on learning bibliography which includes both web and print resources.